We are continually updating our courses to take into account developments in technology and the electronic navigation aids now available on most cruising boats. 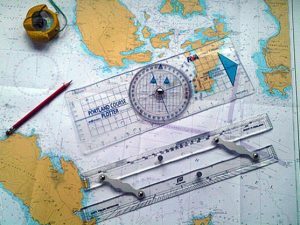 In conjunction with the UK Hydrographic Office we have developed a chart plotter specifically for use on training courses, giving you a realistic insight into electronic navigation. Use of this plotter is an integral part of our Day Skipper shorebased course. The course is taught over 40 hours with two exam papers. It can be covered as a series of short sessions, as an intensive week-­long course.